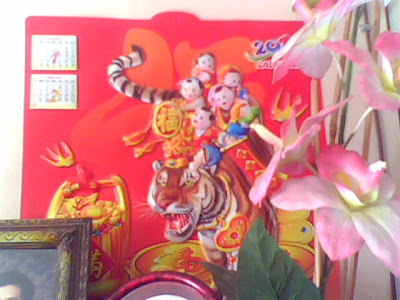 Home 2010 arts baby tigers beliefs charms Chinese Chinese Horoscope displays home house image lucky charm New Year tigers At Home with Tigers! 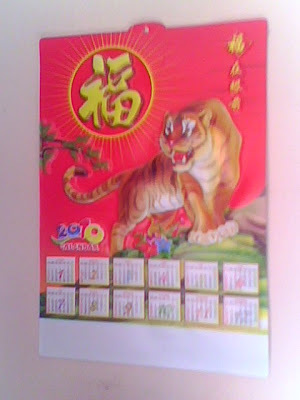 It's already year of the tiger! Tiger is everywhere! 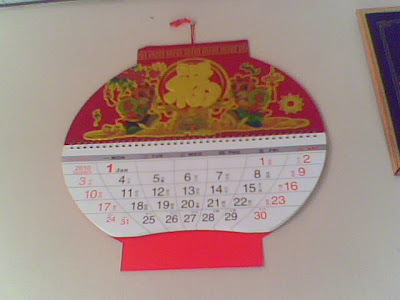 Just like the Chinese beliefs every new year, you should have the animal who owns the year. And it's much better if that animal is your gift to the other person. That's why every opening of the year, malls, markets, and lucky charm shops were all selling the animal horoscope of the year. It's a sign of good luck and charm as indicated by the Chinese beliefs! But in our home, look what we got! It's tiger, tiger, tiger...! It's tiger everywhere! 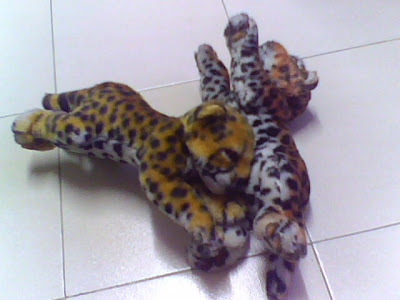 My two tiger pets Reddy and Spotty were really happy as they know that they were the bida of the year! They were such a 'bibo' type of pets to have! 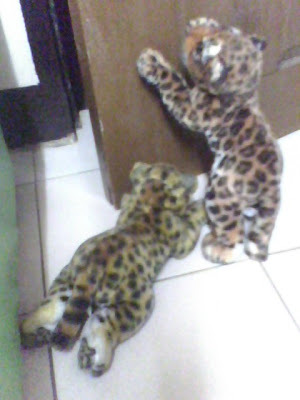 Again, they love to roam around our home and play everything they like! But don't get afraid as they were truly tame and kind to everyone! You could hug and handle them! What other more tigers we have? Then let's see! I Love this Tiger Display! One of the Beautiful Tiger Calendar! As you see it yourself, we had lots of tiger displays! Red tigers for the lucky house! We have lots of tiger calendar! We bought some of them while some where given by friends! Look at them as they dominate our walls and our display areas! What can you say?! So as we enter the year of the tiger, are you convinced that having a tiger image in your home or in your working area could bring lots of lucks? Hmmm....!!! 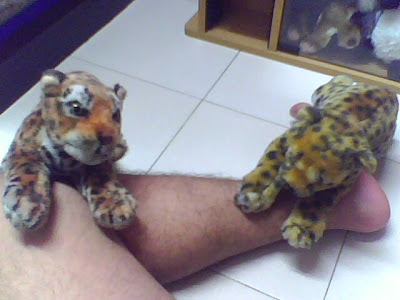 But if I were to ask, I really love tigers! I like them! I love the cute little tiger stuffs and the pictures of them! I remember during my childhood in our previous home, we had a beautiful tiger carpet! But we couldn't have it anymore since they were stolen! And talking more of the tiger, during collage, my experiment papers were full of tiger arts and design which enabled me to got the highest grade because of these tigers! Tiger then was became my trademark! nice tiger, san pde bumili nyan? prang astig alagaan.